A quick tour of the Chicago Exotics facility. 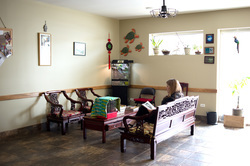 Chicago Exotics is located at 3757 W. Dempster St. in Skokie, Illinois. 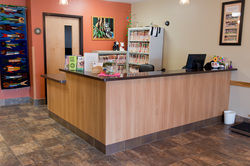 one of Once inside, you'll register at the reception desk. Lamor or Tina will greet you. After you check in, you will be led to our exam rooms. Our waiting room has plenty of space for you and your pet(s). You'll also find a lovely freshwater aquarium and cable TV. We do ask that you keep your pet on leash or in a carrier. The other practices in our building do see larger animals. Here's a picture of a surgery in progress. 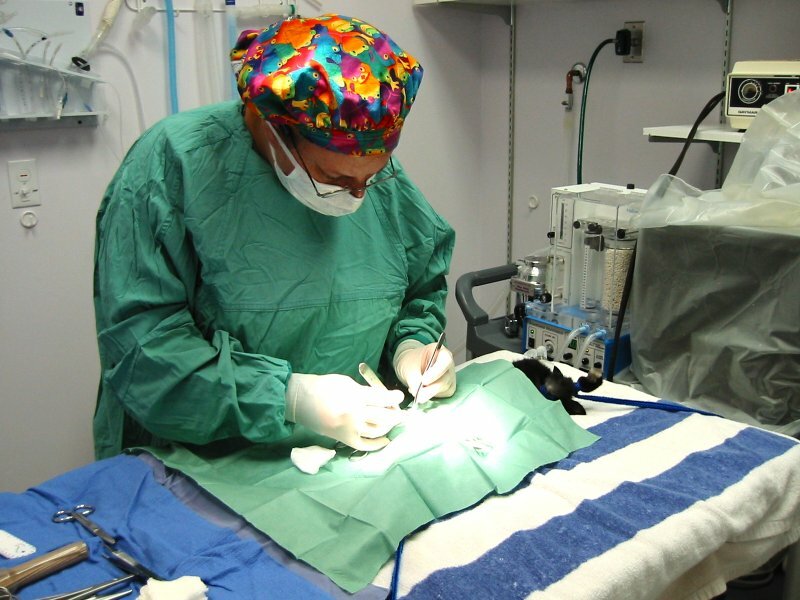 Dr. Horton is performing a neuter on a dwarf rabbit. 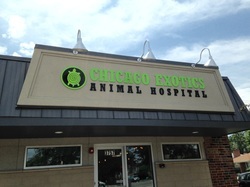 Chicago Exotics specializes in small animal and avian surgeries and has the right equipment for the job. 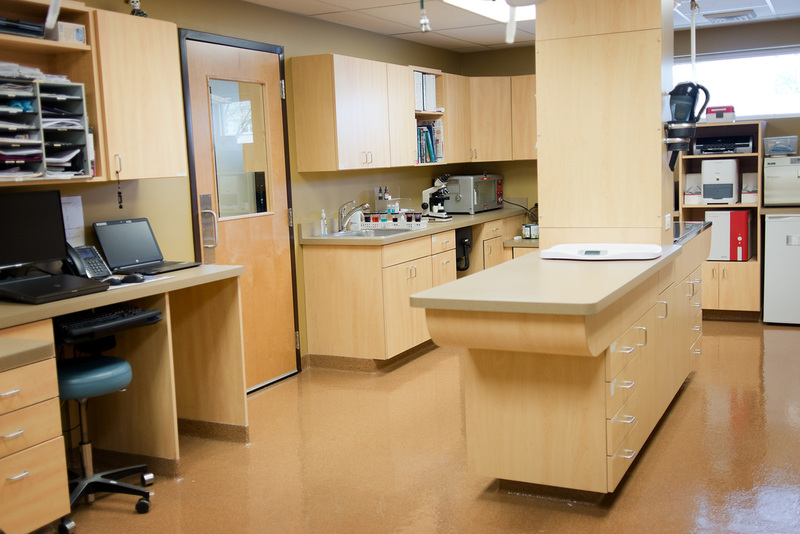 For instance, did you know we have the equipment to perform surgery on fish? 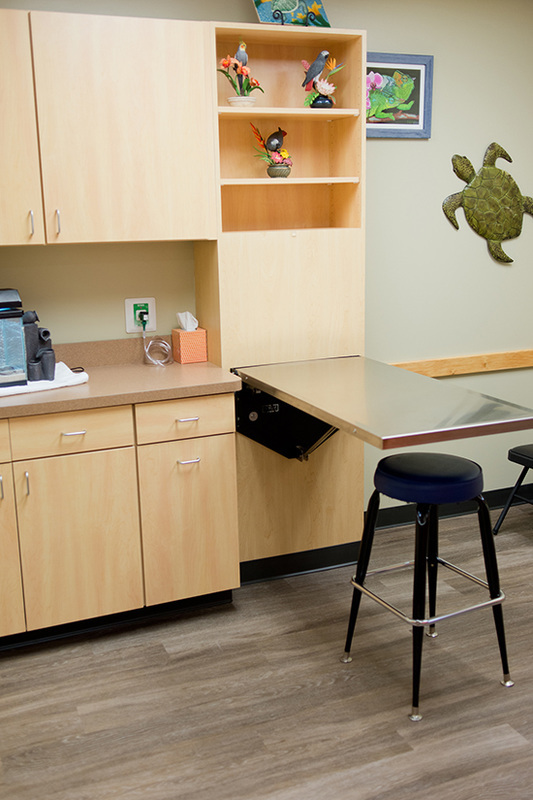 Recovery takes place in our one of our Intensive care rooms. We have many types of incubators and cages to accommodate many types of animals. 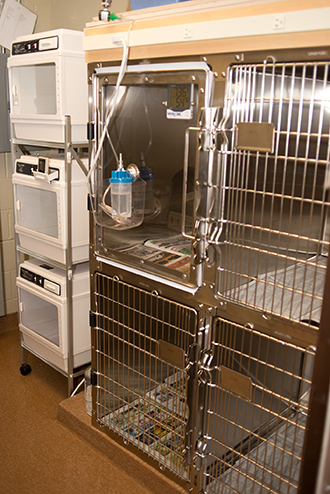 In these pictures, the large incubator on the right is for reptiles, the tanks on the top shelves are for fish and amphibians, and the cages on the counter are for birds and small rodents. The set up on the right is for ferrets, rabbits, and hedgehogs. This is often where we are with your pet when it comes in back to be weighed.